Etienne Gehain obtained a PhD in Electrochemistry at Middlesex University (London) in 1993. 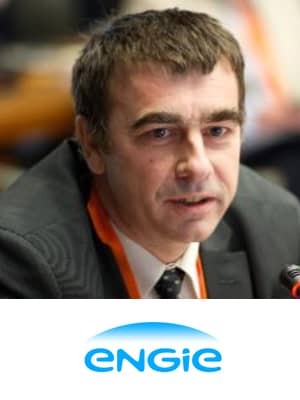 He spent more than 10 years in R&D at Gaz de France, studying the use of natural gas in Fuels Cells and coordinating a European FP6 collaborative project on the insertion of Distributed Energy Resources in electricity grids (EU-DEEP). After a 4 years as Head of a support Department in the Key Account Sales Division of GDF SUEZ, he returned to R&D, and was, for 6 years, in charge of the Digital and Energy Storage Corporate R&D Programs. Since 2017, he joined Engie Fab where he contributes to the development of disruptive offers, in particular in the field of Energy Communities.